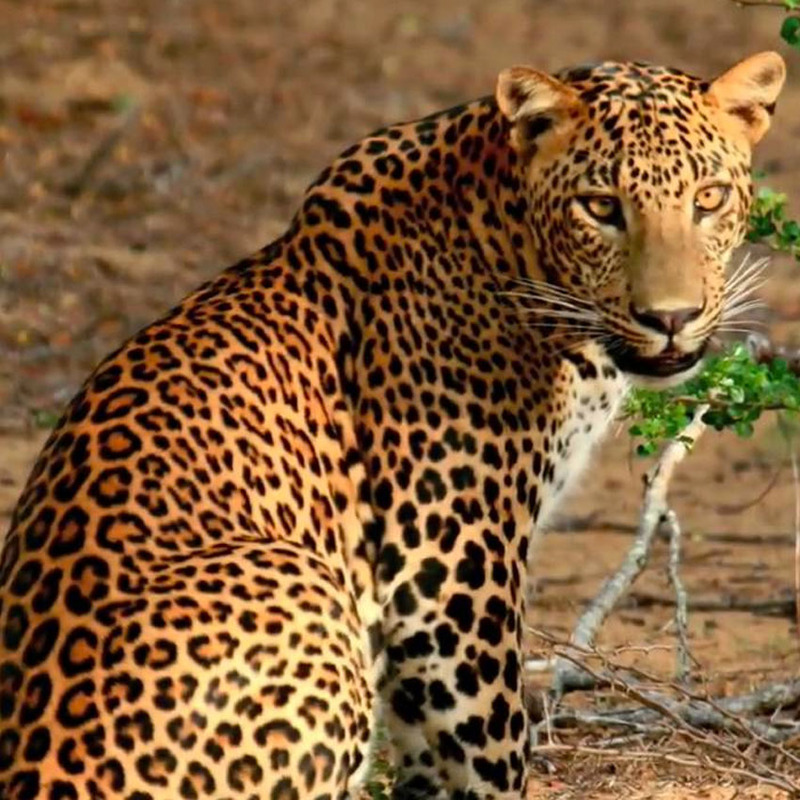 Yala Leopard Lodge is a fascinating destination that brings out the clear toneof nature for the ultimate relaxation, in a span of time where life needs a break. 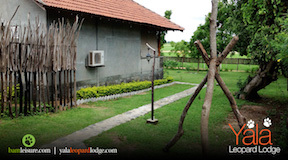 It is an ideal experience with a homely atmosphere, supplemented with simon-pure Sri Lankan Hospitality. Breathe in the fresh air and relax with the tranquility of nature. Enjoy a stay that is styled tastefully in safari theme. The comfortable furnishings and the soothing views contribute in making this gatehouse a delightful place to stay. 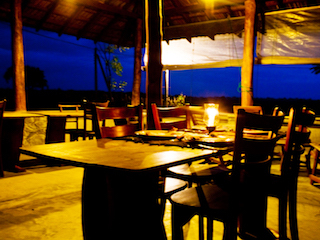 An ideal place for family or groups of friends who wish to sleep and dine and wine in comfort surrounded with nature. 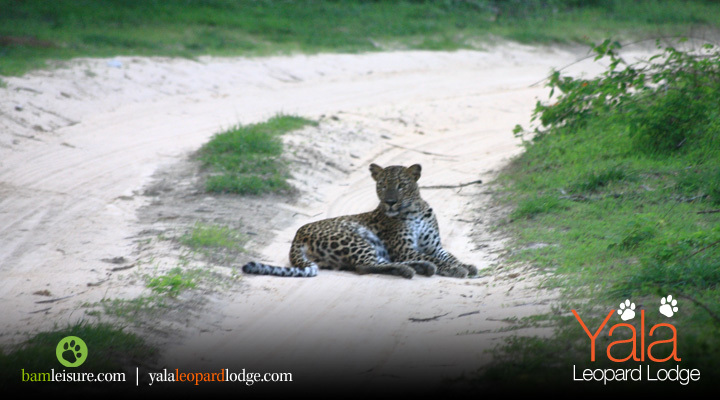 Cherish the spectacular spots of the leopard! 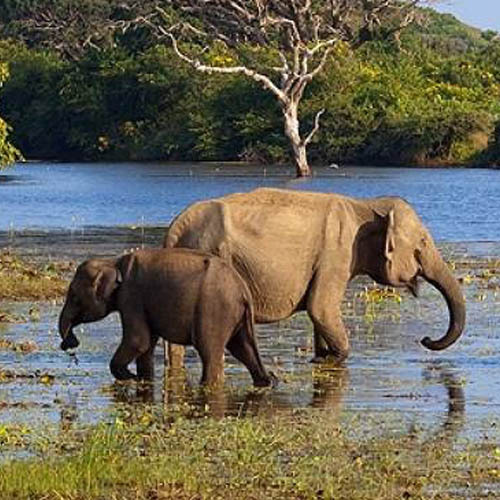 Experience the vast diversity in a dry Zone dry evergreen forest blessed with many endemic species of animals from crawling reptiles to tusked elephants and brilliant coloured migrating birds, not only in Yala but in many more wetland grounds in southeastern region of Sri Lanka. Ignite your taste buds with food that explodes with flavor. Authentic Sri Lankan cuisine is characterized by lots of fragrant spices, all forms of coconut, and rice that will rejoice you with happiness. Not only local dishes but also enjoy the tastes of westernized varieties and get entertained at a barbecue, all in one place. 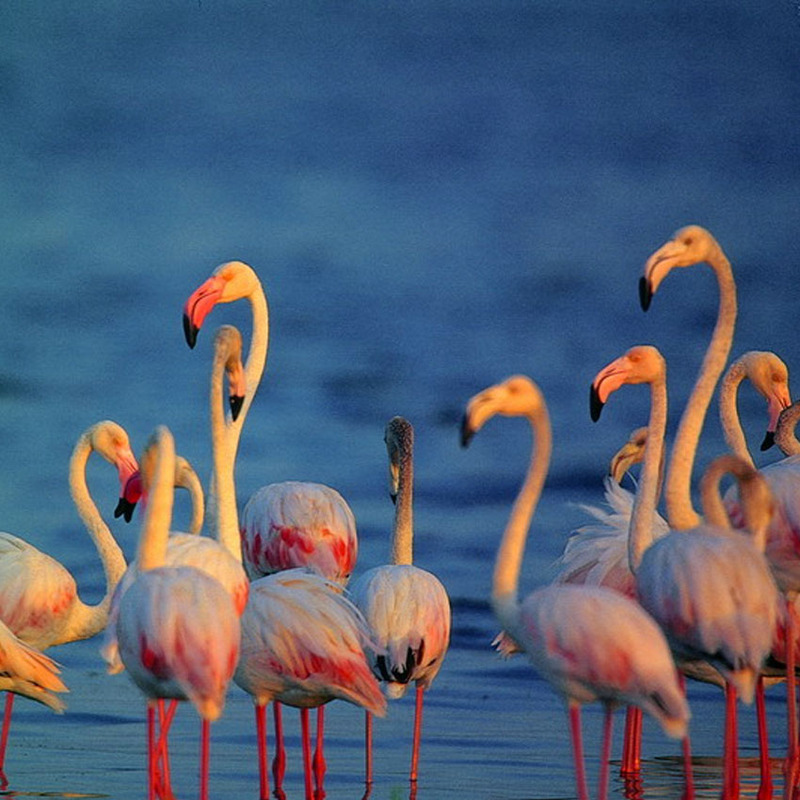 Explore the diverse landscapes range from thorny scrub jungles to sandy beaches. 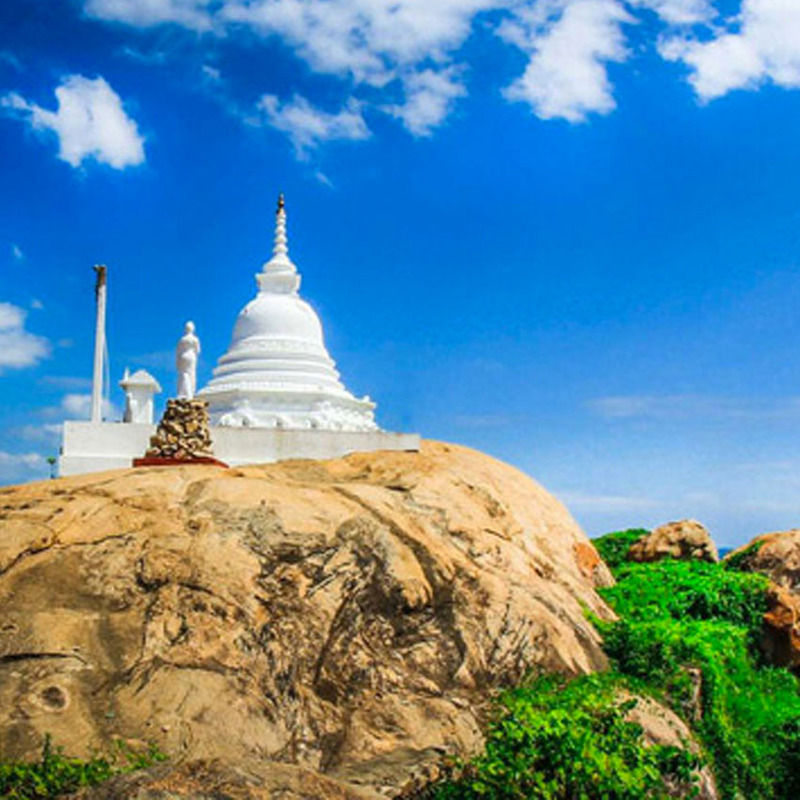 Witness ancient buddhist ruins famed for its architectural richness. Unveil the secrets of past that reflects the history and heritage of a proud vibrant civilisation. This is a very good place to stay on the edge of Yala. Staff are very good and look after you well. The food was good as well. The rooms are good and clean. 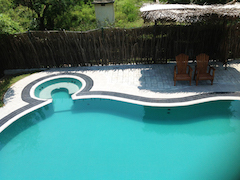 The pool is a welcome sight after a hot safari trip. 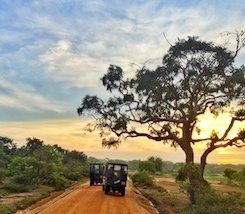 This is well worth a stay if you are visiting Yala. Stayed here with 3 colleagues in May 2014 after travelling down form working in Trincomalee. Rooms were spacious and clean and if you don’t see a leopard in the Park there are plenty in the room – a wonderful display of leopard prints, leopard lamp and leopardish bits and pieces! Rice and curry dinner – prepared specially for the 4 of us was absolutely magnificent with all the trimmings. Ate so much i could barely get up to my lair. Picked up at 0500 to go to the gala park – lodge is close to entrance meaning we were in park quickly and spent a great 4 hours there seeing lots of wildlife and beautiful country. Elephants, deer, crocodiles, wild boars….but no leopard so thank goodness for the ones in my room. Back to hotel and a great relax in small pool on site before another great Sri Lankan luncheon before heading off. 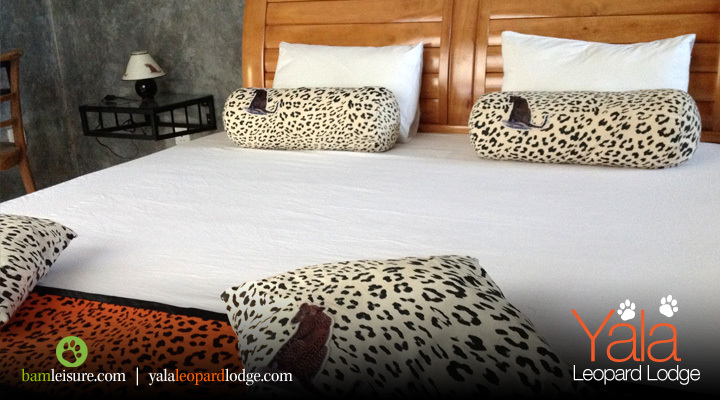 I highly recommend Leopard lodge as being a small intimate hotel to eat great foo and great proximity to Yala park. 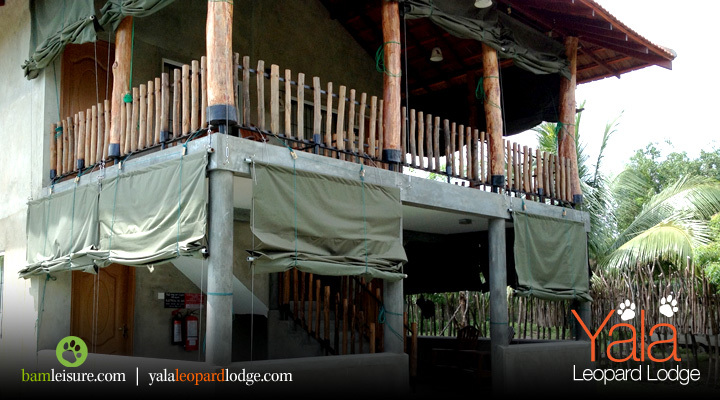 We have stayed two nights here at the Leopard lodge (the booking was made hastily just on arrival after the place we have reserved in Tissa was not to the liking of many of us in our group). It was truly one of the best places I have stayed in Sri Lanka. It is maintained like a 4 star apartment bungalow and situated in Kirinda on the Yala border, bracing a large paddy field in front and a beautiful surroundings. Rooms are maintained in immaculate classy condition. 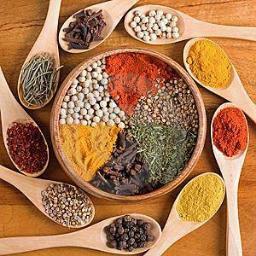 The food is prepared according to your choice and on supplied grocery, and it was 5 star quality. Whether it is local or western menu we asked for, we got the best we could imagined. 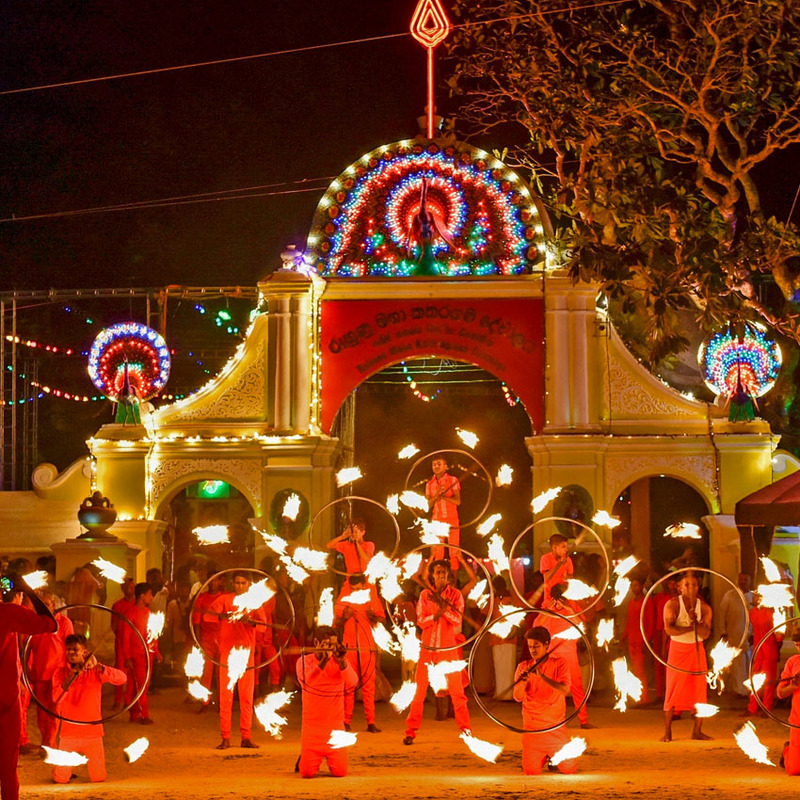 I recommend this place to anybody who is visiting Yala, Kataragama with a big thumbs up. We stopped in at Leopard Lodge for the first night of our Honeymoon in Sri Lanka. The room had polished concrete floor and walls and was very clean, it had a touch of Leopards design including some lovely photos the owner has taken. There is a shared balcony/porch (very spacious) with views over the pool. During our stay we were the only guests, which made this small resort even the more special. We were very well looked after by the staff, who even prepared some local dishes for dinner; which added to the intimate feel of the place. Overall, the whole experience; being inside a national park, beautiful room, friendly staff and traditional dishes for dinner and breakfast .Not forgetting the best curd & honey we had during our 3 week honeymoon. © 2018 Yala Leopard Lodge. Developed and Maintained by SurfEdge Design Engine.